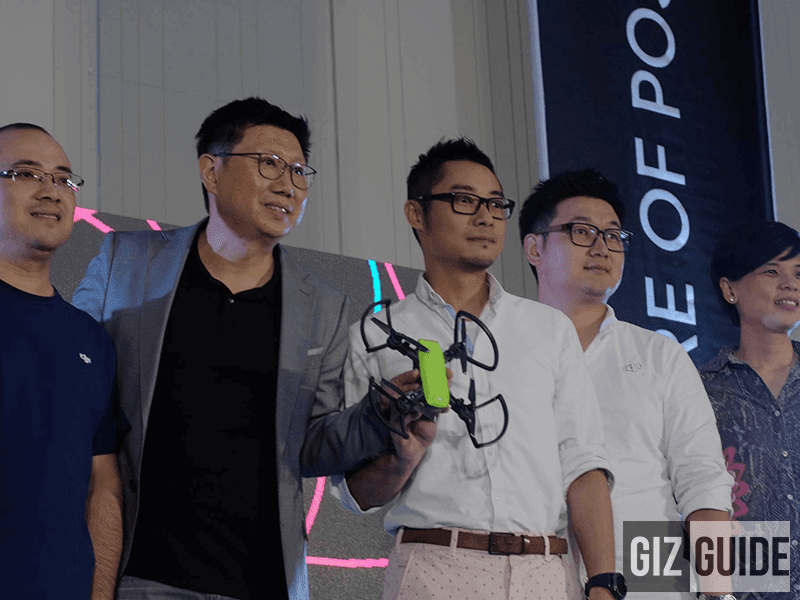 DJI Spark Unleashed To The PH Market For PHP 30500! 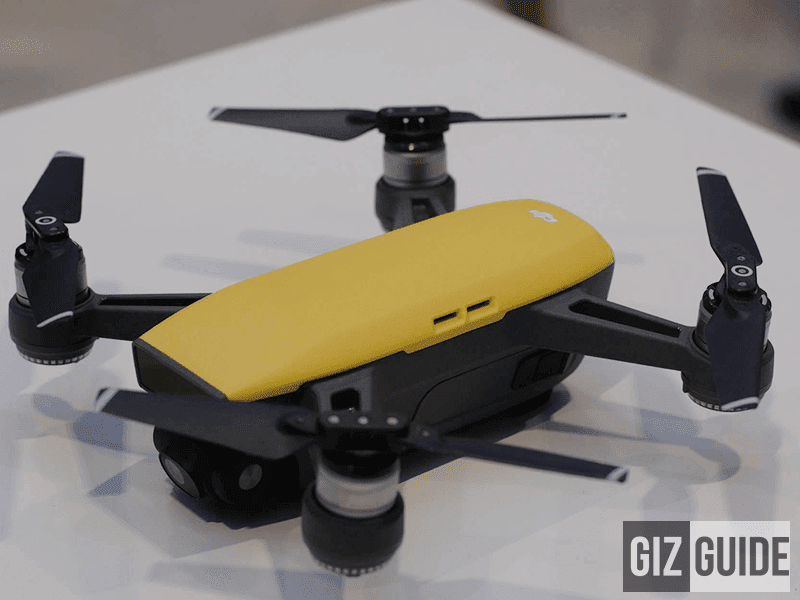 Home / accessories / dji / news / DJI Spark Unleashed To The PH Market For PHP 30500! In our article dated June 17, 2017, DJI announced to the world their latest and greatest civilian drone, and is their most affordable yet: the DJI Spark! DJI, the world's leader in civilian drones and aerial imaging technology, unveiled today the Spark for the Philippine Market! It is marketed as the easy-to-use, fun-to-fly ultra portable camera drone. Priced at a just PHP 30,500, it is poised to enter mass market hands in no time. What makes this the best affordable drone yet is that it can be controlled by hand gestures alone! As soon as the Spark takes off from your hand, it automatically activates gesture mode. In this mode, you can send the Spark away or towards you, take a selfie and call it back into your hand! Controlling a camera drone with hand movements alone is a major step towards making aerial technology an intuitive part of everyone’s daily life, from work and adventure to moments with friends and family, said Kevin On, DJI’s Director of Communication at the launch event. “Spark’s revolutionary new interface lets you effortlessly extend your point of view to the air, making it easier than ever to capture and share the world from new perspectives. It is clearly designed to be the best lifestyle accessory that you can carry anywhere to capture the best moments! It has four QuickShots Intelligent Flight modes: 1. Rocket, which sends the Spark up in into the air with the camera pointed down; 2. Dronie, flying up and away from the chosen subject; 3. Circle, Rotating around the subject; 4. Helix which sends the Spark spiraling away from the subject as it flies upward! With each of these QuickShots, the Spark automatically create a 10-second video from your flight that is ready to share on social media, where everyone can see the greatest moments you want captured! It also has the TapFly and ActiveTrack and can be paired with a remote controller accessory. There is also a Sport Mode which Unleashes the maximum speed potential of the Spark which reaches up to 31 mph or 50kph! The new DJI Goggles will also be compatible with the Spark. It uses a 1/2.3 Inch CMOS sensor that can take up to 12 megapixel stills and record video at 1080p at 30fps that is coupled with a 2-axis gimbal with UltraSmooth technology that dramatically reduces the visible camera shake! When paired with the DJI app, you can quickly share your footage in social media! It has the FlightAutonomy system that uses the main camera, downward-facing vision system, a forward-facing 3D Sensing System, dual-band GPS and GLONASS, a high-precision inertial measurement unit and 24 computing cores that help the Spark hover accurately with vision system assistance at up to 98 feet or 30 meters and detect obstacles from 16 feet or 5 meters away! Priced at PHP 30,500 DJI Spark is now available at MSI-ECS and other authorized dealers in the Philippines. Color options and Fly More Combo availability may vary at different sales channels.